Comment: At the beginning of the book of Ruth, Naomi has lost her husband and both her sons. Upon returning to the people who knew her, she declares that they ought not call her Naomi but Mara, which means bitterness, because her life has become very bitter. But here, at the end of the story, having secured for Ruth, her daughter-in-law, a new husband who will care for both of them, and now holding Ruth and Boaz’s son, Obed, it is Naomi whom the other women congratulate. They say to Naomi that the Lord has been a restorer of life and a nourisher of her old age. She lived through her grief and came through to joy once again. 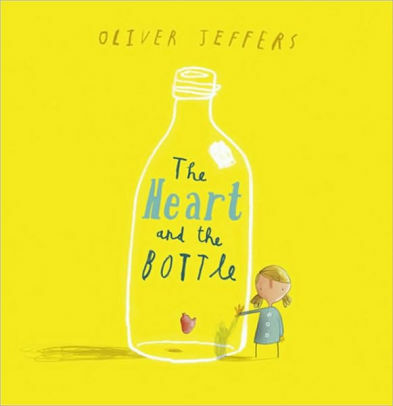 In The Heart and the Bottle, a young girl spends time with her grandfather who inspires her and brings her joy. But then he dies, and in her pain, she locks her heart away in a glass bottle so that she can’t feel the sadness. But she also can’t feel the joy or inspiration anymore either. When she grows up, she meets a young girl who is joyful and curious about the world, just like she was, and she decides to free her heart, but she can’t—that is, until the little girl helps her. Her heart is freed, so that she can once again feel joy and inspiration. Like the girl, and like Naomi, we may live through bitter seasons, seasons where we will need to be careful of our hearts. But we serve a Lord who is a restorer of life and a nourisher at any age, and so we pray that we will have the same joys as we look ahead. Comment: In Snow, a little boy wakes up and sees his city covered with a fresh blanket of snow. 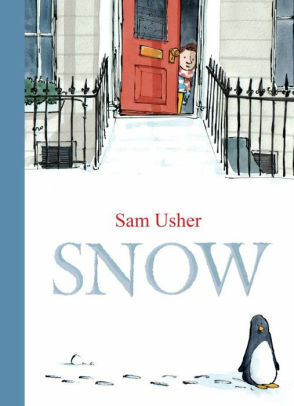 He sees all the other kids, and even a lot of other animals, trek over the snow to the park where they will have a snowball fight. The little boy wants to go too, but his grandfather has to take him. The boy ends up having to eagerly and impatiently wait, for his grandfather to finish getting ready before they can go play in the snow at the park. Our passage from Hebrews describes us as “eagerly waiting” for Jesus Christ to appear a second time. We are eagerly waiting because we know what kind of life he lived and what kind of sacrifice he made the first time, and so his coming brings out our eagerness and anticipation. Like the boy, we know what it is to wait, and to wait eagerly for something we really want. As people of faith, our waiting is not resigned or forgetful. Our waiting is eager, ready for Jesus Christ our Lord. Comment: Jesus chastises the religious leaders for only doing things to show off. He commends, instead, a woman who gives her last two coins, without attention or applause. Jesus knows that what is outside doesn’t necessarily mean the most. In Those Shoes, everyone in Jeremy’s class is showing off their new, impressive shoes and Jeremy, understandably, wants them. But his family can’t afford them. He first has to wear a pair of shoes from a charity box, and then his grandmother gets him a pair of boots but they are not the impressive shoes. At a thrift shop, he finds a pair of the impressive shoes he wants. Those shoes are are way too small, but in his desperation to look as cool as his classmates, he wears them anyway, despite how much they hurt. But he notices another student at school, Antonio, whose own shoes are in terrible shape. Antonio has noticed Jeremy’s shoes and Jeremy knows that he would even wear the charity box shoes if it meant having shoes that are not falling apart. Eventually, Jeremy gives Antonio the too-small impressive shoes, and learns to appreciate the shoes and boots he has. Jeremy realizes what Jesus is telling the religious leaders and disciples—that showing off and focusing on what is on the outside is not the most important thing, and that giving to others quietly and from the heart is the more worthy goal. Like Jeremy, we may be taken in at first by public displays and showing off, like those of the religious leaders, but as people of faith, we train our eyes to notice what we have, and to offer it up with quietly generous hearts. Thanks to Union Presbyterian Seminary alumna Sara Ann Berger for writing the Revised Common Lectionary Links this week. Lectionary Links (RCL): November 11, 2018 by Storypath is licensed under a Creative Commons Attribution-NonCommercial 4.0 International License.